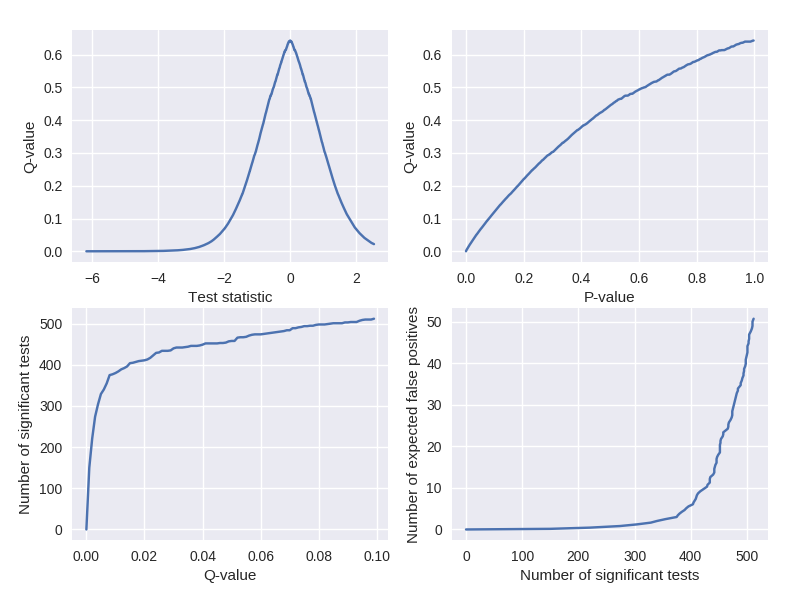 Testing multiple hypotheses simultaneously increases the number of false positive findings if the corresponding p-values are not corrected. While this multiple testing problem is well known, the classic and advanced correction methods are yet to be implemented into a coherent Python package. This package sets out to fill this gap by implementing methods for controlling the family-wise error rate (FWER) and the false discovery rate (FDR). Install the software manually to get the latest version. The pip version is updated approximately every two or three months. The required packages are NumPy (version 1.10.2 or later), SciPy (version 0.17.0 or later), Matplotlib (version 2.1.0 or later), Seaborn (version 0.8.0 or later), and scikit-image (version 0.13.0 or later). The program codes also probably work with recent earlier versions of these packages but this has not been tested. Please open an issue if you find a bug or have an idea how the software could be improved. Spatial separate-classes model. Partly based on [12–13]. There is a true effect at each location within the green box and no true effects outside. Visualize q-values similar to Storey and Tibshirani (2003). A manuscript of the software is currently being prepared. 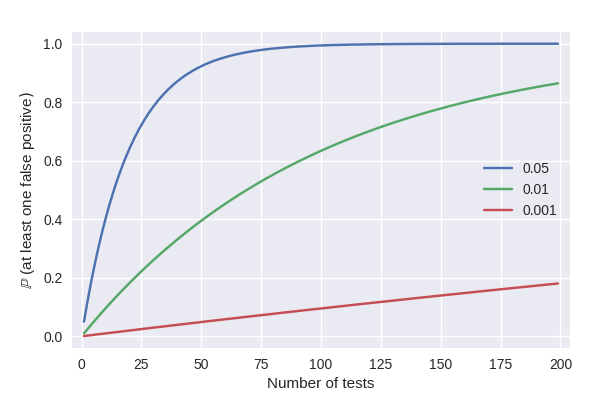 Puoliväli T, Lobier M, Palva S, Palva JM (2018): MultiPy: Multiple hypothesis testing in Python. Neuronal Circuit Dynamics across Scales and Species, Helsinki, Finland, 3–4th May. Sidak Z (1967): Confidence regions for the means of multivariate normal distributions. Journal of the American Statistical Association 62(318):626–633. Hochberg Y (1988): A sharper Bonferroni procedure for multiple tests of significance. Biometrika 75(4):800–802. Holm S (1979): A simple sequentially rejective multiple test procedure. Scandinavian Journal of Statistics 6(2):65–70. Benjamini Y, Hochberg Y (1995): Controlling the false discovery rate: A practical and powerful approach to multiple testing. Journal of Royal Statistical Society. Series B (Methodological): 57(1):289–300. Storey JD, Tibshirani R (2003): Statistical significance for genomewide studies. The Proceedings of the National Academy of the United States of America 100(16):9440–9445. Benjamini Y, Hochberg Y (2000): On the adaptive control of the false discovery rate in multiple testing with independent statistics. Journal of Educational and Behavioral Statistics 25:60–83. Benjamini Y, Krieger AM, Yekutieli D (2006): Adaptive linear step-up procedures that control the false discovery rate. Biometrika 93(3):491–507. Maris E, Oostenveld R (2007): Nonparametric statistical testing of EEG- and MEG-data. Journal of Neuroscience Methods 164(1):177–190. Phipson B, Smyth GK (2010): Permutation p-values should never ber zero: Calculating exact p-values when permutations are randomly drawn. Statistical Applications in Genetics and Molecular Biology 9:article39. Worsley KJ, Evans AC, Marrett S, Neelin P (1992): A three-dimensional statistical analysis for CBF activation studies in human brain. Journal of Cerebral Blood Flow and Metabolism 12:900–918. Bennett CM, Wolford GL, Miller MB (2009): The principled control of false positives in neuroimaging. Social Cognitive and Affective Neuroscience 4(4):417–422. Efron B (2008): Simultaneous inference: When should hypothesis testing problems be combined? The Annals of Applied Statistics 2(1):197–223. Benjamini Y, Heller R (2008): Screening for partial conjuction hypotheses. Biometrics 64:1215–1222. Benjamini Y, Heller Y, Yekutieli D (2009): Selective inference in complex research. Philosophical Transactions of the Royal Society A 367:4255–4271. Bogomolov M, Heller R (2013): Discovering findings that replicate from a primary study high dimension to a follow-up study. Journal of the American Statistical Association 108(504):1480–1492. Heller R, Bogomolov M, Benjamini Y (2014): Deciding whether follow-up studies have replicated findings in a preliminary large-scale omics study. The Proceedings of the National Academy of Sciences of the United States of America 111(46):16262–16267. multipy is maintained by puolival. This page was generated by GitHub Pages.